Belleview Eye Associates Leilani Phillips, O.D. 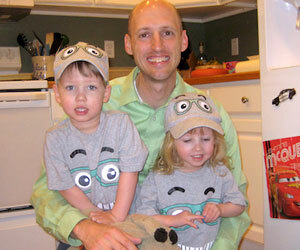 Dr. Leilani Phillips-Borstad was voted Colorado Optometric Association's Young Optometrist of the year for 2008! Dr. Phillips earned this honor through her dedication to optometry and her outstanding service to patients and the community! She graduated with honors from Pacific University College of Optometry in 2000. She's a Colorado native and graduated with honors from the University of Colorado with a degree in Molecular, Cellular and Developmental Biology. Dr. Phillips is a member of Phi Beta Kappa and previously served on the Board of Trustees for the Colorado Optometric Association. 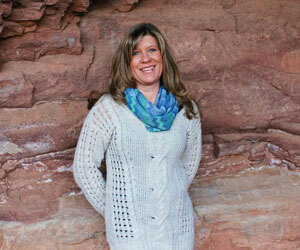 In her spare time, she enjoys reading to her twins, running, hiking and snowshoeing, and playing the piano. Belleview Eye Associates Brett Borstad, O.D. Dr. Brett Borstad is originally from Bismarck, North Dakota. He is a graduate of the University of North Dakota where he received honors in Biology. He earned his doctorate degree with honors at Pacific University College of Optometry in 2002 and was a member of Beta Sigma Kappa honor society. Dr. Borstad is also an Eagle Scout, as well as an avid skier, mountain biker, and fisherman. He also enjoys running, tiring out their golden retriever, and playing with his twins! 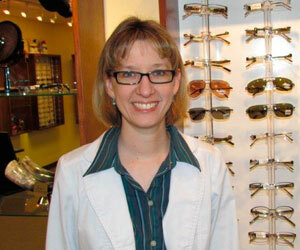 Linda began her optical career in 1987 and has worked as a Regional Manager for a large retail optical, as well as many years in private practice. Linda has a son at CSU and a daughter in high school which keeps her busy! She enjoys running and skiing and being outdoors in general. Linda's daughter, Ryann Rice, took the wonderful images that you see rotating in our slideshow at the top of our website!